There's evidence that using cash instead of credit can help consumers cut spending, but it can be hard to put this bit of financial wisdom into practice. After all, credit cards are more convenient than cash, and using them affords some benefits and protections cash can't provide. But a new study by the Urban Institute and D2D Fund offers a middle ground that consumers might find more realistic: Use cash for anything under $20. 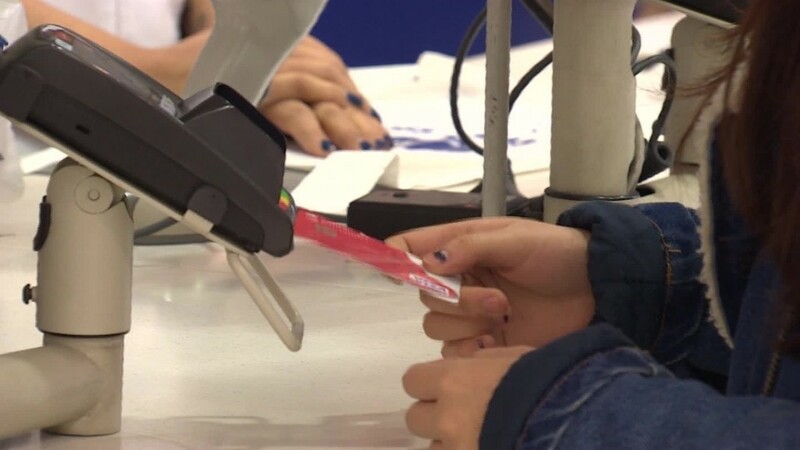 The study's organizers sent thousands of credit union customers regular reminders that they should use cash for purchases costing less than $20. Those who received the reminders had $104 less in revolving debt, on average, at the end of the study, amounting to a 2% drop from their baseline average. Here are some of the reasons you should try this simple tip if your savings could use a shot in the arm. It's simply easier to swipe a credit card than it is to pay with cash, because you aren't parting with anything tangible. One recent study even found that when "tightwads" were forced to pay for certain food items with credit cards, their spending loosened so much that it approached the credit card spending of "spendthrifts," who are more likely to overspend to begin with. High credit limits can make a small purchase seem like a drop in the bucket. After all, it's easier to think of a $10 lunch as a trifling expense when it's charged on a credit card with a $3,000 limit instead of using half of a $20 bill. High credit card limits can also lead card users, particularly those who have little experience with credit, to overspend on the belief that they will one day have the income to justify those high limits. Why focus only on small purchases? Impulse buys are often small. A CreditCards.com poll found that 20% of respondents said the most they'd spent on an impulse buy in the last three months was just $25. We're more likely to ignore incidentals than big purchases. The $4 latte on the morning commute, the $10 salad for lunch, $2.99 for a new app -- they add up quickly, but many of us don't actually budget for them. Using cash forces more small-spending awareness. It's risky to carry around wads of cash. If $1,000 in cash is lost or stolen, it's as good as gone. But if a thief steals your credit card and charges $1,000 worth of purchases, then your liability tops out at $50 thanks to federal regulations. Credit cards offer benefits that cash doesn't. If a big credit card purchase doesn't live up to its billing, then the buyer can dispute it, and you can also take advantage of fringe benefits such as extended warranties and price protection. There are also cards that offer rewards like cash back -- a nice bonus as long as users aren't spending solely because of them. Responsible credit card use builds good credit. Sooner or later, most people need to get a loan for a house or a car, rent an apartment, or do any number of other things that require a credit check. But it's hard to build good credit when you don't use it. It's simply not possible to use cash all the time. Cash isn't very useful when you want to shop online, rent a car, or book a hotel room. Some brick-and-mortar shops won't even accept it anymore, nor are they required to. So while "cash only" sounds good in theory, "cash only for the small things" might be much more useful in practice. It offers the best of both worlds: more budgetary control, plus the benefits and protections plastic can provide. So back away from the scissors and put the credit card back in your wallet. Just make sure to dust off that ATM card, too.